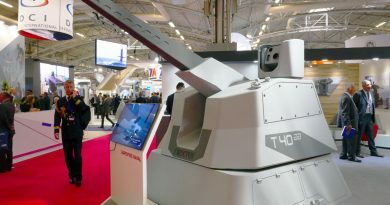 Leveraging the success of its 105 LG1 light towed gun with the Colombian Army, the Nexter stand in the French pavilion features models of the company artillery systems, as well as ammunition. 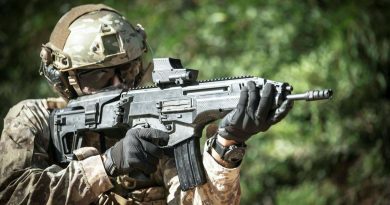 The first contract for 105 LG1 Mk III, filed in 2008, was followed by the delivery of three more guns in 2015. This artillery systems of French origin where used in the conflict against the FARC, the Colombian Army adopting innovative tactics and fully exploiting the capability of the LG1 to be transported by helicopter. The couple Blackhawk – 105 LG1 was used to saturate the ground where the rebels were moving; the helicopter deployed one single gun, artillerymen carried out a firing mission shooting some 4-5 rounds, then the Blackhawk which was orbiting nearby was coming back, the gun was moved some 5 km away and was shooting again some rounds, before doing another movement. This allowed saturating the ground, giving the impression to the opponent to be under the fire of numerous guns, and covering a wide area with a minimum number of assets. Helicopter transportation was one of the key issues in the choice of the Neater gun as movements by road in many parts of Colombia are very difficult. The choice of not using mortars was due to the fact that opponents quickly learned to disperse when they heard the typical noise of the mortar round leaving the barrel. The 105 LG1 was also used in direct fire mode, at ranges under 1,000 meters, against rebel’s motorised convoys. Nexter is looking with interest at the evolution of the Colombian Army in this post-conflict era. The Army definitely has the need of increasing its artillery firepower, many of its systems being obsolete or in a low availability status. However budgets are limited and the Navy is currently the service with most development prospects. That said, Colombian land forces are looking to a self-propelled system to cope with current needs, possibly in the 155 mm calibre. In 2010 Nexter demonstrated its Caesar landing one gun near Bogotá, driving for over 500 km during the night to reach a firing range where the live firing demonstration was held. 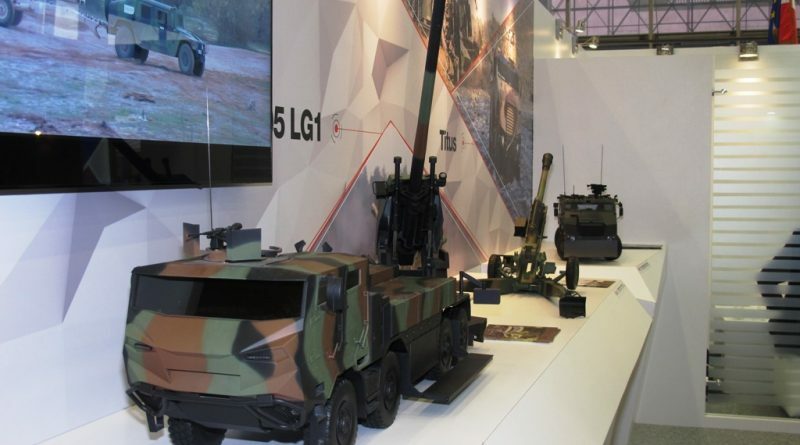 The model of an 8×8 version of the Caesar is visible at the Nexter booth, while a model of the 6×6 version is exhibited in the nearby French Army stand. 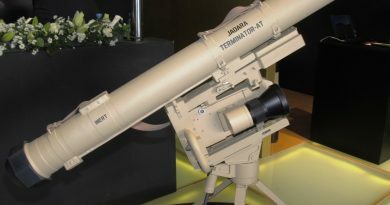 It is to note that Colombia developed the prototype of a truck mounted solution with the 105 LG1 gun, known as Joya SAA-1, but for the time being no further actions were taken. Beside the tubes, Nexter is also active in proposing the products of its Ammunition Business Unit, and is looking at a new strategy to penetrate the Colombian market. 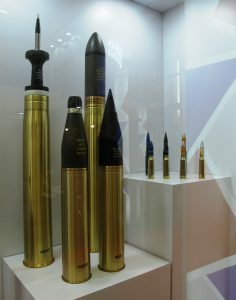 Artillery ammunition in the 105 and 155 mm calibres are part of the company portfolio, three levels of products being available in the bigger calibre depending on customers budgets, however Nexter is also looking with interest at the 90 mm guns of the numerous Cascavel armoured cars in service with the Colombian Army. 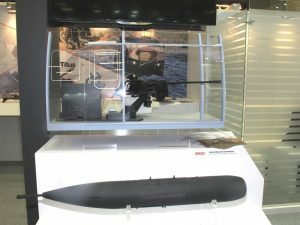 For the time being Nexter succeeded in selling 76 mm naval ammunition for the 76/62 mm guns embarked on Colombian major naval units. Beside artillery and ammo Nexter is showing its Nerva range of small robots, capable to carry out missions of different types thanks to the modular concept adopted since the design phase. 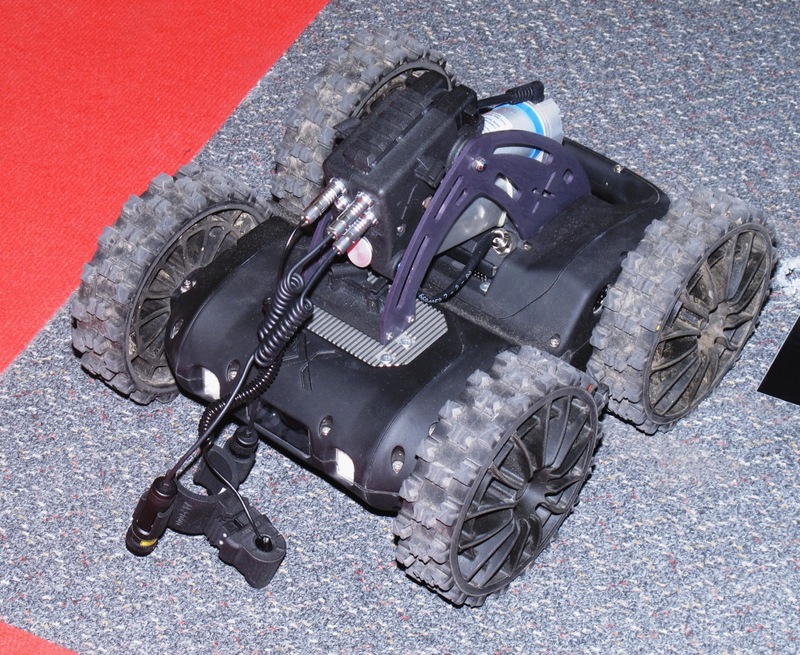 Both Police and Army showed some interest, Nexter looking for a local distributor for this type of product. 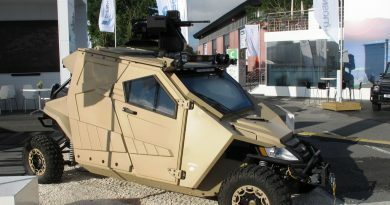 A model of the Titus 6×6 is also exhibited, in black colour, the homeland security market being considered the most promising in the area. As for airborne systems, Nexter integrated its NC 621 pod, armed with the M 621 20 mm cannon, into a Colombian Blackhawk, which proved its effectiveness, and hopes in some further orders, the SH20 retractable pintle mount also armed with the company 20 mm cannon.